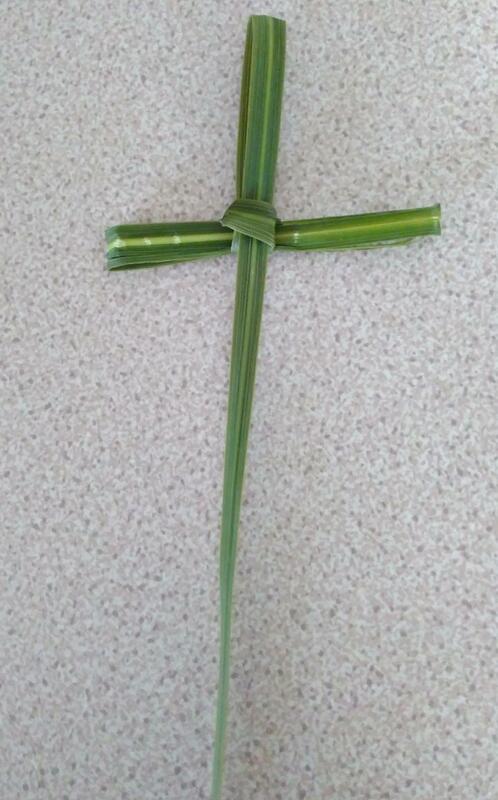 Major Ian introduced the theme and explained that he had provided some palm leaves for people to come and take at any time during the meeting to join in the Palm Sunday celebration – even to take home and make a palm cross. Luke 19:31 ‘The Lord Needs it’ was the chosen verse used as a focus for the meeting which commenced with SA Song 148 ‘Make way’ and SA Song 165 ‘From Heav’n you came’. Following a time of prayers the Singing Company sang ‘Singing Hosanna to the Lord’ which drew our minds to contemplate how we can be engaged and amazed at this important part of Easter. 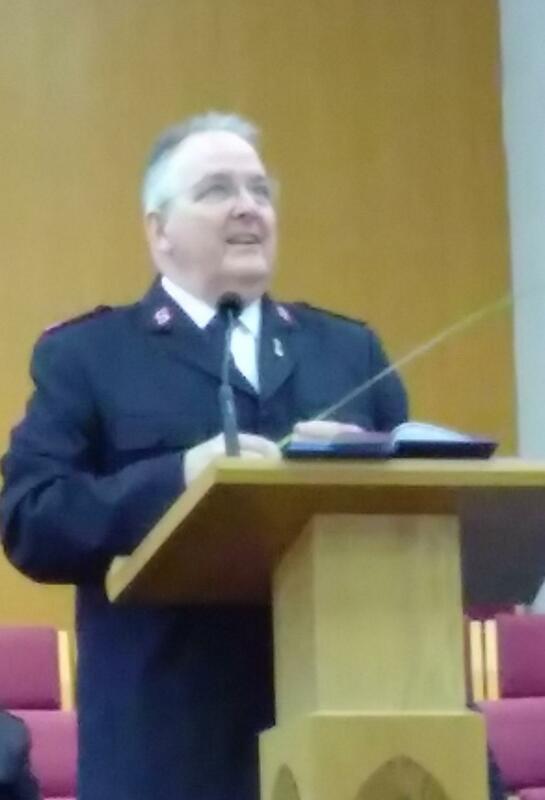 SA Song 345 ‘To be in your presence’ introduced a time of testimony when Adrian Horwood spoke about what makes Easter special for him and encouraged us to consider what part of the story we would have taken. The Songsters contributed ‘We saw love’ and the Scripture Luke 19:28-44 was brought to us. 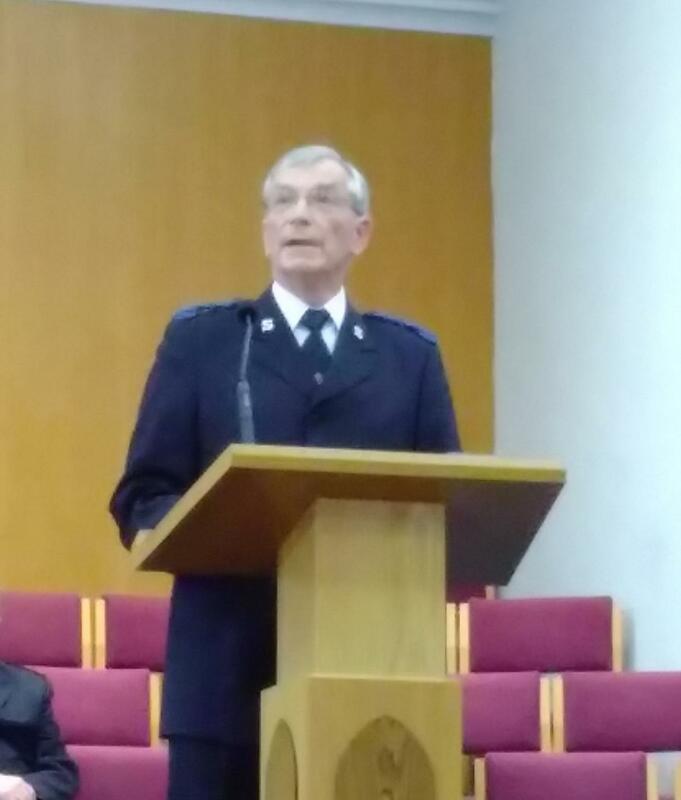 In his message, Major Ian said that although Jesus had told the disciples what was going to happen to him whilst they were walking to Jerusalem there is no response of the disciples on record despite the news being horrific. Jesus, himself, was more concerned about others, like Blind Bartimaeus, than himself. The disciples started singing joyfully and indeed started the celebration by laying down their cloaks. How are we preparing for Easter? What does Jesus need of us? Are we giving ourselves time to be amazed at what God reveals at Easter? Jesus gave His life freely to change us and the world. Let us handle the palms and be amazed. Let us prepare to be amazed. A video ‘Be amazed’ was shown during which there was a time for reflection before the final song SA Song 269 ‘O the deep deep love of Jesus’. The afternoon (4 pm) was a time of Palm Praise commencing with the SA Song 148 ‘Make way’ and SA Song 153 ‘Thou didst leave’. 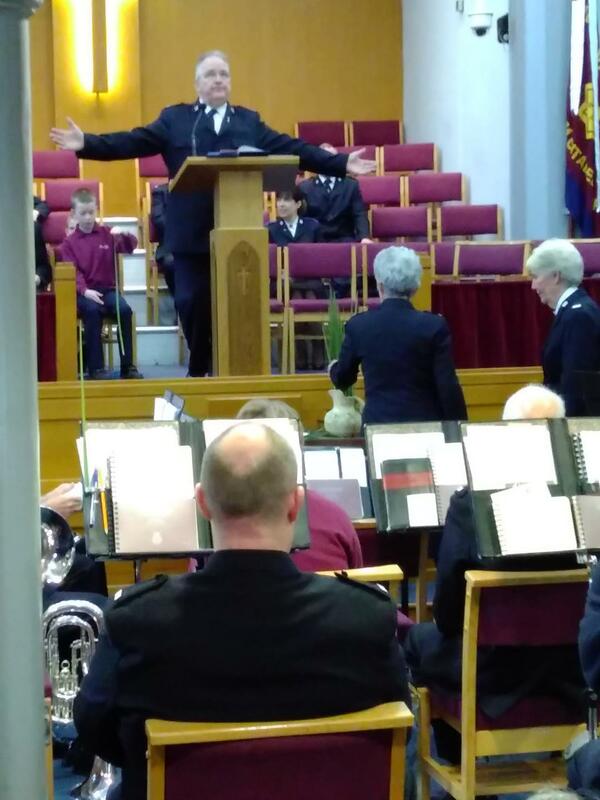 Following prayer the Band brought their contribution ‘Happy all the day’. A time of testimony was offered during the singing of SA Song 366 ‘Hosanna’ and SA Song 374 ‘Jesus is Lord’. Charlie, Rae, Estelle, Tim, Bev, John and Caz told how they were sharing Easter/Lent with others. 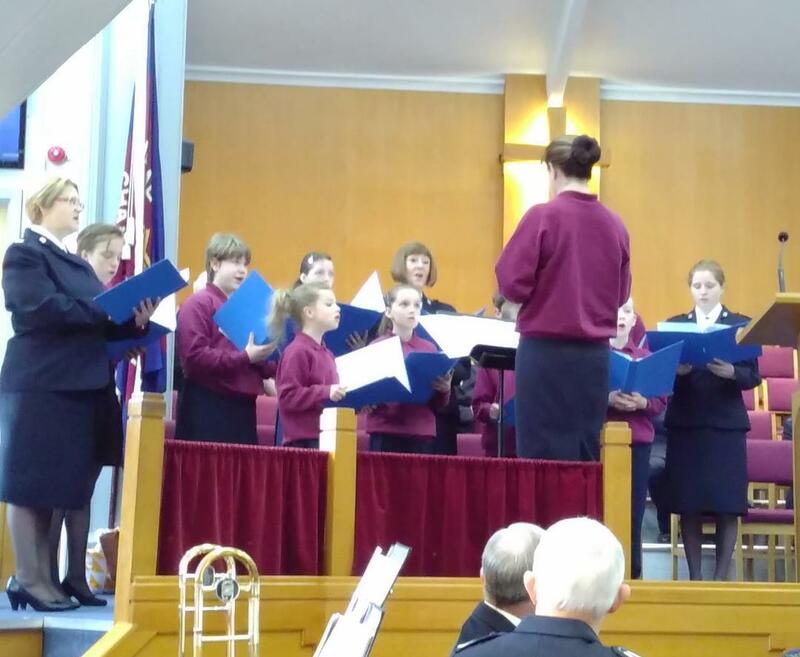 The Songsters’ contribution was ‘My Homeward Prayer’. Major Ian quoted verses from various Psalms where we are encouraged to ‘Praise the Lord’ and said if we don’t, the stones will do it for us. The final song SA Song 389 ‘Rejoice, rejoice’ brought the afternoon to a close. We are looking forward to a Holy Week when we meditate through poetry and music (Tuesday 8 pm), Wednesday Bible Study, Thursday Seder Meal (Passover) and Good Friday 10.00 am meeting and then process through the town with other churches. Thank you for logging onto the website. May God richly bless you this Easter. This entry was posted in Church Life, Discipleship, Evangelism, Monday Spot, Worship. Bookmark the permalink.